This exhibition examines relationships to the life, use, and death of horses as revered among the farm animal kingdom. As a young girl I wished for the dream horse and life in the saddle. This golden reality was tempered by perfectly normal tasks such as castrating foals, putting horses down when it was time, and the deceptively dead sleeping horse in the paddock. Realities I accepted, yet never witnessed. Gelded is my exploration of the romantic allure of horses, severed from the real world where horses are just another farm animal. 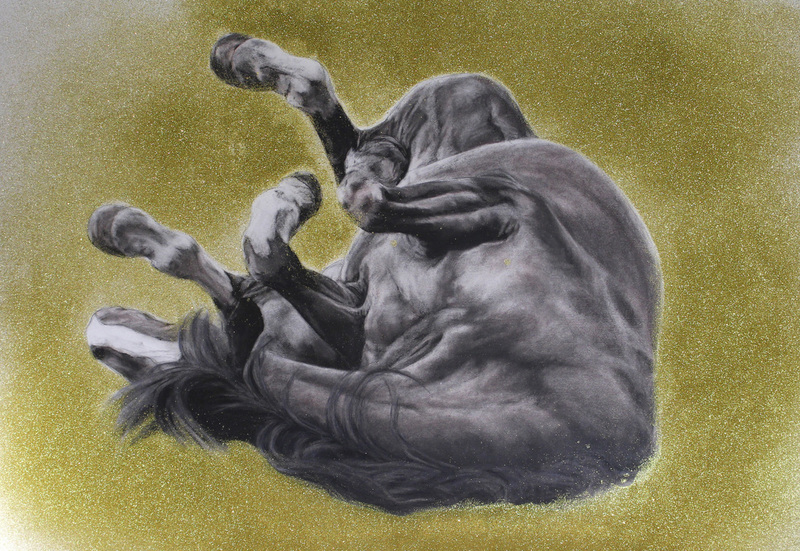 Anna Louise Richardson, Dream Horse, 2015, conte, charcoal and gold leaf on cement fibreboard, 100 x 70cm. 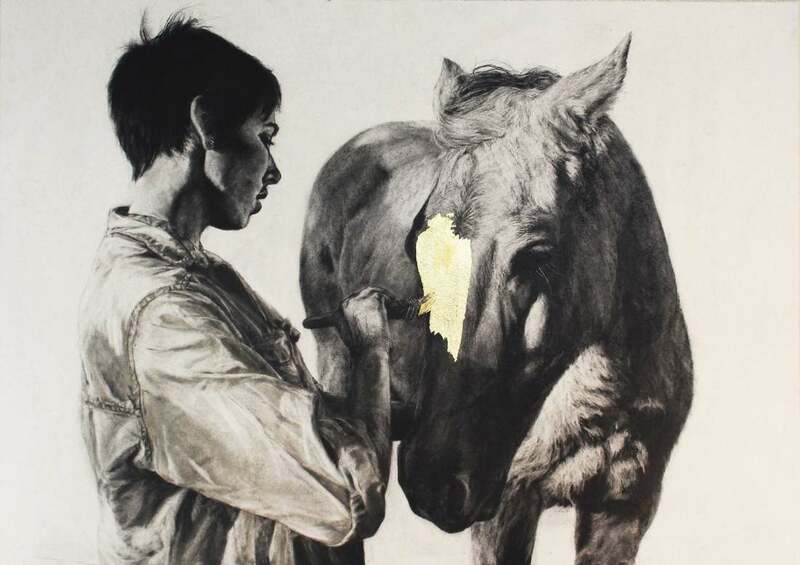 Anna Louise Richardson, Gelded, 2015, conte, graphite and glitter on paper, 100 x 70cm. 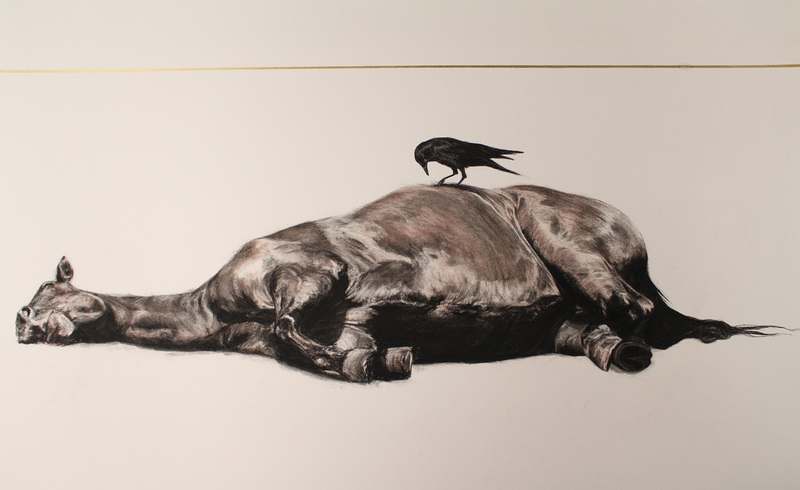 Anna Louise Richardson, uh-oh, the duke is dead, 2015, conte, charcoal and spray paint on paper, 100 x 70cm. 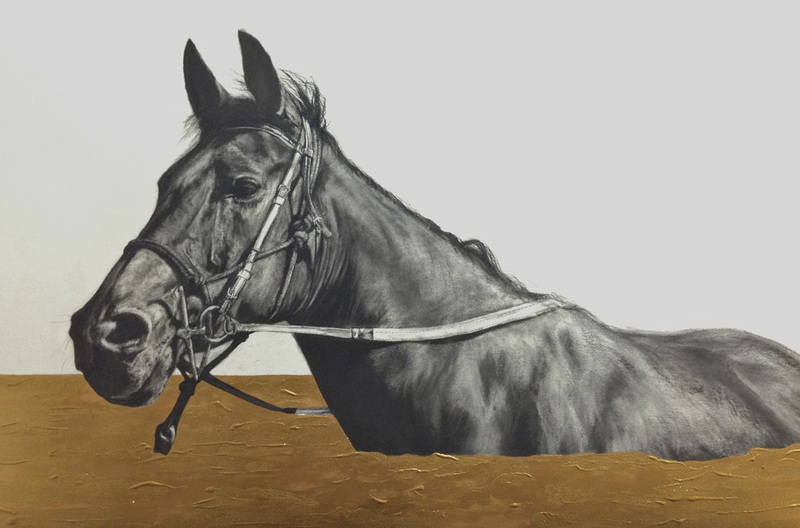 Anna Louise Richardson, Not all horses can swim, 2015, conte, acrylic paint and glitter on paper, 70 x 110cm. Anna Louise Richardson, Apple, 2015, conte and collage on cement fibreboard, 70 x 50cm.